At Burns Honda, we understand how important it is to have an efficient and stylish compact car while driving around Cherry Hill, Marlton, and Mt. Laurel. 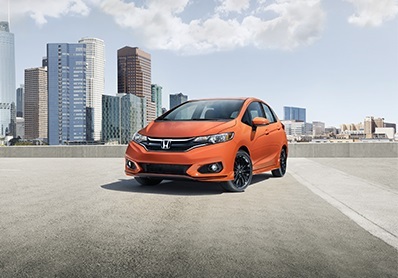 The 2019 Honda Fit just might give you the efficiency and curb appeal that you need. Don’t just take our word for it though, check out this review. Brighten up the streets with the Honda Fit. Its stylish look gives it an attitude all its own. The sleek lines and contours all flow perfectly into the front bumper, giving it a unique front end and an aggressive and sporty front bumper. The LED taillights, chrome trim, and rear spoiler serve to play up the sporty personality of the Fit. All the way down to the wheels, it’s clear to see that the details matter. The 16-inch, black alloy wheels are a bold statement that perfectly play off the sleek and sporty design. While the 2019 Honda Fit may have a compact exterior design, you can rest assured knowing that on the inside it has more than 95.7 cubic feet of space for all your family and friends. Inside, they can relax in style with seating for five. Moreover, there is no need to fret about where to put all your gear, because, with the rear seats down, there is 52.7 cubic feet of cargo space too! A thoughtfully designed center console not only gives you ample space to store all your knickknacks and gadgets, but a USB port with 12-volt power outlets let you keep them connected and charged as well. For all those items destined for the trunk, you can add an optional cargo net and sturdy canvas cargo organizer. Both are perfect for keeping everything upright, organized, and in place. 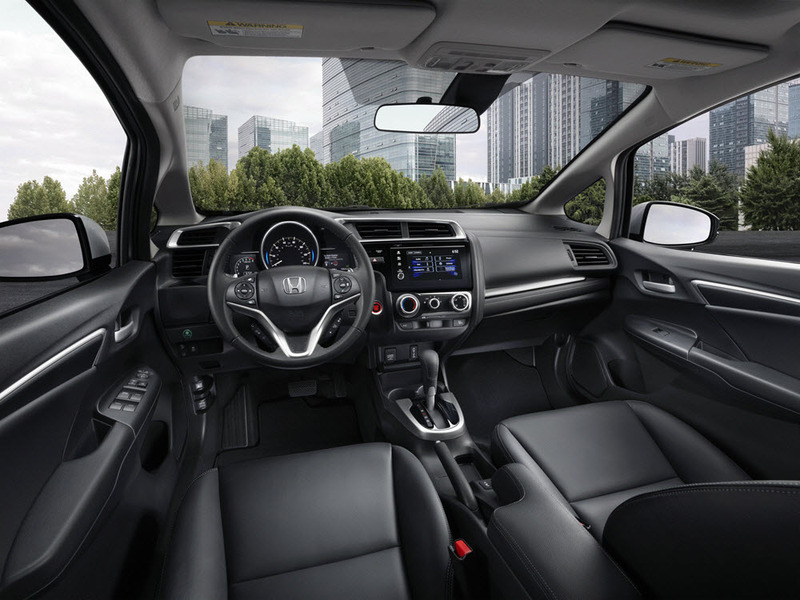 The Honda Fit also puts a treasure trove of technology at your fingertips. Features like Apple CarPlay™ and Android Auto™ are available, and you should never be afraid to crank up the volume because of the optional 180-watt, 6-speaker sound system. With Smart Entry and Push Button Start, you can start the car with ease and experience everything this compact car has to offer. The 2nd-Row Magic Seat® truly makes this a versatile compact car. The Magic Seat® has four configurations that allow you to haul passengers or cargo. Want to help a friend move? Fold the Magic seat into Utility Mode and the 52.7 cubic feet of cargo space can fit a small couch. Forget the pickup truck, because in Long Mode even a ladder can be hauled in the Honda Fit. In Tall Mode, the Fit can even haul cargo up to four feet high. If your ever just craving a nap, fold the Magic Seat® into Refresh Mode and you’ll have all the room you need. These features not only keep the driver from straying too far off track, but they can also help prevent collisions. The Fit also features Honda LaneWatch™ which reveals four times more than looking into the side mirror alone. A Multi-Angle Rearview Camera gives the driver eyes in the back of their head with normal, top-down, and wide views. These safety features evoke driver confidence and passenger comfort. Come and Take it for a Spin! Now that you have read all about what the 2019 Honda Fit has to offer, come see one for yourself at Burns Honda. Take one for a spin around Cherry Hill, Marlton, and Mt. Laurel. Schedule a test drive today!